"I'm very happy to have had Katie do my makeup for my wedding and would definitely recommend her to any bride to be, or or anyone needing makeup done for a special occasion! She is courteous, professional and efficient - getting myself and my bridesmaids ready in a stress-free and timely manner. Katie listened and understood how I wanted my makeup done and with her talents, created a beautiful, natural look that lasted throughout the entire day." "I hired Katie for my wedding in July 2014 after hearing about her from my photographer. I am extremely glad I did! Katie came to my place a few weeks before the wedding for a trial session and asked questions about my makeup and skin routine and preferences to ensure I got something glamorous but still true to myself. She uses the best products that give you a flawless photo finish! On the actual wedding day I ended up changing my mind last minute about my eyes and Katie was able to pull off the perfect look just by going with my description. Myself and my bridesmaids loved her! She is professional and also a lot of fun to work with. Getting ready with all your girlfriends is half the fun of the day and Katie was a big part of it! Thanks again!" ~Sara ~ from Cambridge, Ont. 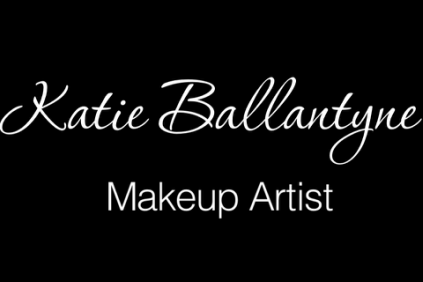 "I was so blessed to have been able to have Katie do my makeup for my wedding! She has such a kind and generous heart and she made the time getting ready very special and relaxing. Her enthusiasm made the experience more personal and memorable as well! I am not someone who generally wears a lot of makeup and was always worried of looking too "overdone" for my wedding. Katie ensured that my makeup would look elegant and natural like I had requested. Thank you Katie for such a wonderful experience! You are so talented at what you do and I appreciate being able to have had you be a part of my day in this way!" over how well and how long our makeup lasted. You hugely contributed to me just loving and enjoying the day!" ~Kirsten D~ Muskoka Woods, Ont. "I used Katie as my makeup artist for my wedding in July 2015 and I would not have felt as beautiful on my wedding day without her expertise. When she did my makeup, she made me feel like I was already beautiful and she was just accentuating my natural beauty; and that alone speaks for itself. When Katie is applying makeup, she is not just doing her job, she is doing what she loves to do and she is very good at it! She is very personable and is a gifted makeup artist. Katie did such an amazing job with my makeup, that my maid of honour used Katie for her wedding in October 2015. I highly recommend Katie to anyone in need of a makeup artist. Katie, thank you again for such an amazing job making me feel beautiful for the most important day of my life! ~Nichol O. ~ Owen Sound, Ont.